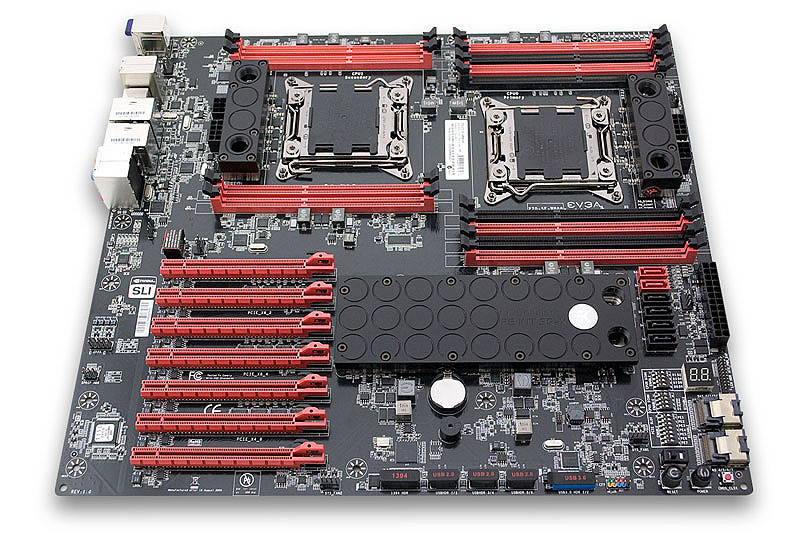 EK Water Blocks, premium water cooling gear provider, has released two new water blocks – the EK-FB KIT SR-X for EVGA Classified SR-X motherboard and the EK-FC7970 Lightning for MSI’s premium R7970 Lightning graphics card. 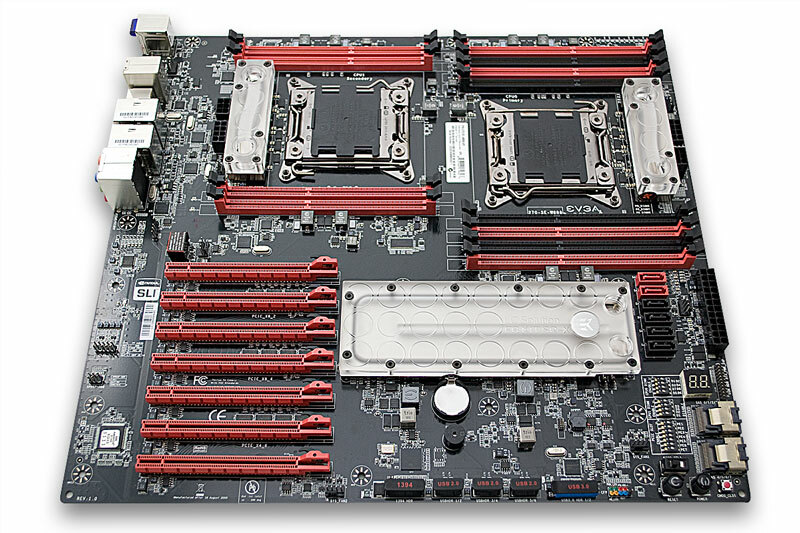 EK-FB KIT SR-X full-board water block kit is a complete liquid cooling solution for EVGA Classified SR-X (270-SE-W888) motherboard. The water blocks directly cools Intel C606 southbridge (PCH), PLX PEX8784 PCIe lane splitter controller and power regulation (VRM / MOSFETs) module of both CPUs. Please note this water block cools exactly as much heat generating components as EVGA factory cooling solution. It is medium-high to high flow water block that can be easily used with systems using weaker water pumps. It is available in two variants – Nickel & Acetal+Nickel. 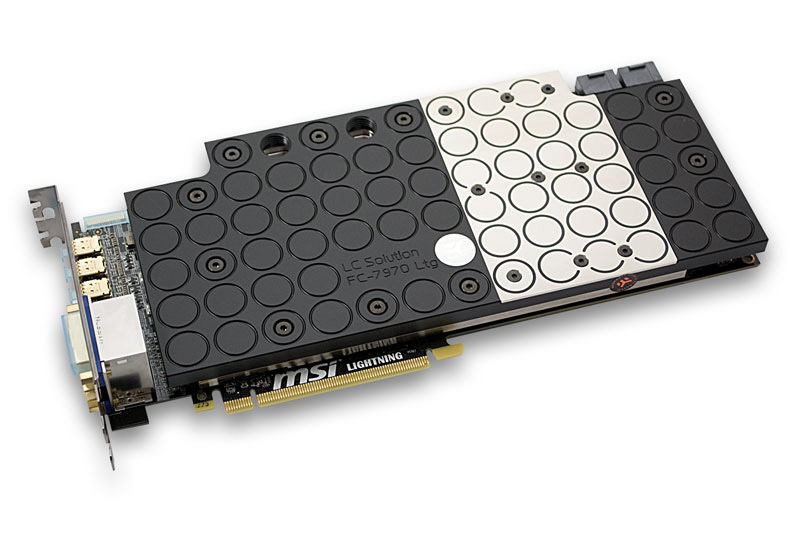 EK-FC7970 Lightning (abbrevated as ‘LTG’) is a high performance full-cover water block for engineered specifically for MSI Radeon HD 7970 Lightning series graphics cards. Please check our Cooling Configurator online compatibility system for detailed compatibility list! This water block directly cools the GPU, RAM as well as VRM (voltage regulation module) as water flows directly over these critical areas thus allowing the graphics card and it’s VRM to remain stable under high overclocks. EK-FC7970 Lightning water block also features a very high flow design therefore it can be easily used in liquid cooling systems using weaker water pumps. The angled connection terminal EK-FC Link is already bundled with each water block and allows for up to four cards to be connected via EK-FC Bridge & Link CSQ system. The bridges are available for separate purchase through EK Webshop. The water block is available only in Acetal+Nickel variant.